Now buy N96 Women'S Curved Hem personalised or just plain in our fashion range. These Jersey Vest ar..
Now buy EP02 Women'S Classic Organic personalised or just plain in our fashion range. 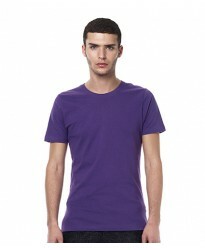 These T-Shirt ..
Now buy EP03 Men'S Organic Slim-Fit personalised or just plain in our fashion range. 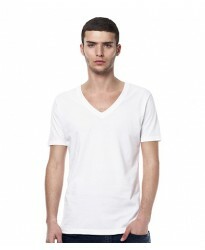 These T-Shirt a..
Now buy EP03V Men'S Organic V-Neck personalised or just plain in our fashion range. These T-Shirt ar..
Now buy EP11 Men'S Earthpositive Rolled Up Sleeve personalised or just plain in our fashion range. T..
Now buy EP41 Women'S Organictunic personalised or just plain in our fashion range. These T-Shirt are..
Now buy N02 Women'S Classic Fitted personalised or just plain in our fashion range. These T-Shirt ar..
Now buy N02L Women'S Long-Sleeved Fitted personalised or just plain in our fashion range. These T-Sh..
Now buy N17 Women'S Sleeveless Jersey personalised or just plain in our fashion range. These T-Shirt..
Now buy N44 Women'S Bamboo Jersey personalised or just plain in our fashion range. These T-Shirt are..
Now buy N48 Women'S Bamboo Twisted Neckline personalised or just plain in our fashion range. These T..
Now buy N82 Women'S Urban Brushed Jersey personalised or just plain in our fashion range. These T-Sh..
Now buy N90 Women'S Batwing Tunic personalised or just plain in our fashion range. These T-Shirt are..
Now buy N91 Women'S Oversized Cropped personalised or just plain in our fashion range. These T-Shirt..
Now buy N97 Women'S Slim Fit Batwing personalised or just plain in our fashion range. These T-Shirt ..
Now buy N39 Women'S Extra-Fine Jersey Tunic personalised or just plain in our fashion range. These T..
Now buy N92 Women'S Low Cut Racerback personalised or just plain in our fashion range. These Tunic V..
Now buy EP40 Women'S Organic Tunic personalised or just plain in our fashion range. These Vest are p..
Now buy N06 Women'S Racerback personalised or just plain in our fashion range. These Vest are part o..